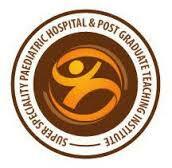 SSPHPGTI Noida is seeking eligible candidates to fulfill its vacancies in the field of Non-Teaching Department. Administrative Officer : 02 positions. Senior Administrative Officer : 01 position. Administrative Officer (Medical Officer) : 01 position. Assistant Accountant : 01 position. Technician Radiology and OT : 04 positions. Junior Assistant : 02 positions. Processing Fee : Rs.2000/- is to be paid online. (Rs 1300/- for SC/ST). Ways to Apply : Candidates can apply Online at SSPHPGTI Noida website prior to 30/7/2016.